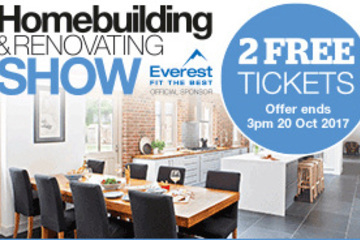 The Homebuilding & Renovating Show is the biggest of its kind in the UK, and is the go-to exhibition for self builders and renovators to find new products and inspiration from construction and design experts. Visit us at stand number D274 to see our new range of Belgrave French-style / Juliet balconies. 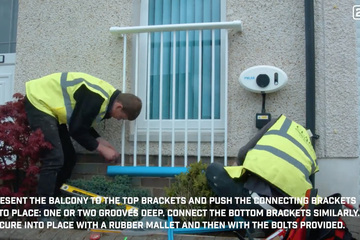 Ergonomically designed, with a sleek, contemporary appearance, our Belgrave balcony is made from high quality aluminium extrusions, making it half the weight of steel alternatives for easier handling and installation, without compromising on the finished effect. The Belgrave was created to be as straightforward to install and level as possible and is supplied fully assembled with fitting instructions, making it perfect for new builds and renovations. And because it is available in a wide range of sizes and finishes, there is an option to suit any home. Visit our stand at the Homebuilding & Renovating Show to find out more. To claim two free tickets to the exhibition, just click on the banner and fill in the form.